A long time ago many wards or church congregations tried programs to help members realize our goals, maybe as the perfect mother, grandmother, or father. By word of mouth, letters, and often just visiting other congregations, members were writing and submitting programs to what they thought would help us. The more we had to help us or keep us busy the happier we'd be, right? We had the Moroni Awards for the women who were examples to others and were picked by the Relief Society Presidency to receive a trophy. It was held as a dinner and a small program with songs helping us to lift our goals and be better as Latter-day-Saint women. Another was the "table designer" award. Every year the names were chosen and those that had the assignment decorated a table for an elaborate formal dinner. I remember even taking a picture of the my table and I do still have the picture. My table was white and lavender and it was expensive and took me weeks to prepare. I was out-done by every single other table decoration in the Cultural Hall. You can make a "purse outta' a sow's ear" with enough money. Young Women's camp Liahona awards, was another program, it was well written and tried to tie the elements of the earth to the scriptures and the Liahona. All the girls graduating were given an award, but each award was represented by the elements of the earth. My oldest daughter was a Beehive 1st year when this was discontinued. She enjoyed it and wanted to be water. But at this time, the older girls were morphing the awards that were given to them, to mean other things and not recognizing the scriptures that went with this camp program. This award was in some ways similar to Scouting and was a bit of a ceremony for fun and then somehow ended, making so many left with hard feelings. Kangaroo Court at girl's camp was right-up there with how fun can change into harassment and hazing. Oh, and there were others. All of these programs and ideas that everyone was making-up and presenting were unfortunately, flawed. 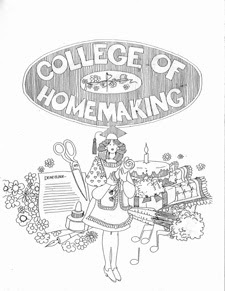 I cringed when we received the homemaking award program, called "The College of Homemaking" It was given to us on April 1, 1988 and because of the date, I was sure it was a joke. The introduction letter was about learning to achieve and be successful in life. We needed to become better wives and mothers, which requires unnumbered (no duh!) skills and talents. We were admonished to achieve greater heights in skills and talents and though this program all will improve ourselves, gain much knowledge, and will develop talents and grow spiritually. I noticed it had a date at the beginning and an ending. I sighed when I saw the date: 18 months and I almost cried. I was asked to have different people sign my requirements off to get my credit. My heart just sank. This was going to be like interviews and everything. Things that I enjoyed doing would become a burden. I couldn't really learn other things that I felt I had some interest, and my bread making schedule--- Oh no! Would I have to stay up later at night? I was sending homemade bread to a neighbor that had terminal cancer and all he could eat was my bread. He said to us that it tasted like his mother's bread. I couldn't stop the bread. There would be no room for anything but the "list" and I would be controlled by this 18 month schedule. Challenge? Oh yes, and a very huge burden. Our neighbor did pass-away, but as life is--I also became pregnant with my youngest, and the baby we had prayed for, for so many years, was a blessed prayer answered. I was soooo morning sick and all of my work on this program ...well, I just hid it. I was using my freedom of choice and here, my baby and her health and my wellness came first. It wasn't long after I had hid my papers, that this program and everyone of the other programs, that had been implemented into our activities, were stopped. There was an announcement from the pulpit and from our leaders to only follow what had come from the right sources, as The First Presidency of the Church. Just by thinking a little bit, a person could quickly see some very worthy persons would and could be left-out in these award programs and in so many ways. A shy person would probably never make the Moroni Award. If you didn't have money, there could be no fancy dinner award, and what about naming or labeling a young girl that she belongs in a category of fire if she didn't understand or know the scripture study to realize what her placing really meant? The homemaking award has a lot of goals, what if you couldn't read very well, from health issues, the lack of education, or any number of other obstacles. All the well-meaning programs could lead to real humiliation. There are a great many ideas here in the "College of Homemaking" that would be fun to learn and if you are interested in goal-setting for only yourself. Actually, not everything. I didn't like writing a poem and sharing with the Eliza R. Snow Poetry Contest and have it published. I was embarrassed to the core when I compared my attempt to write beautifully and read what others had submitted. Mine could be a limerick compared to the beautiful poetry and songs that were submitted. How about make gluten and use it in your meals? That was just too much, since most of my children and myself can't even digest gluten, what a waste of time and effort. There are some others, but on a whole these goals are worthwhile and if a person had time, developing a talent is fun without the fanfare. I want to say I do support the small handout that is sponsored by the Church called Women of Excellence. Makes me stay-on-track with my scripture reading, personal prayers, Temple attendance, etc. and it's small. It's a woman's own guide if help and direction are needed. That's me. 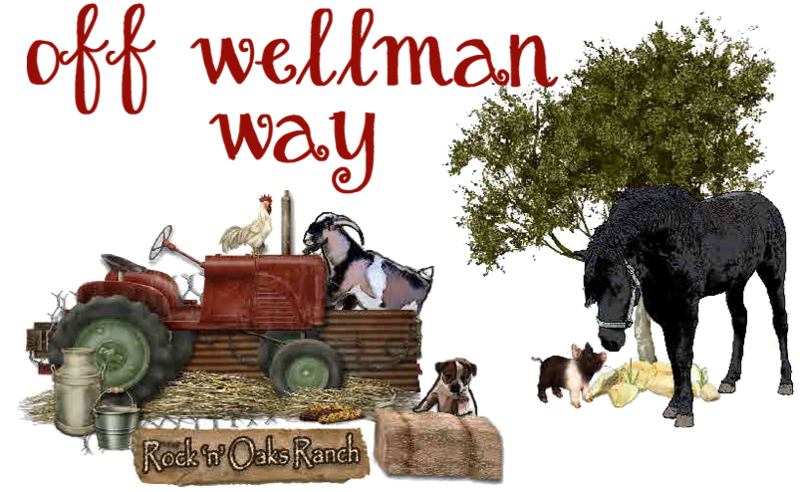 I would say this program is really wonderful and a inspirational guidepost. The analogy of the "iron rod" comes to mind when it means staying on track, helping us on our journey. We know the "iron rod" are the scriptures. Maybe for some of us, the Women of Excellence is a hiking stick to lean on as we travel holding on with our other hand to the "iron rod". 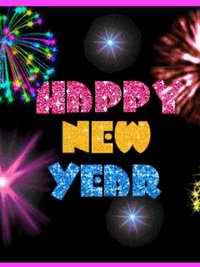 I think the most important thing we can do with New Year's Resolutions is just by wishing everyone of my friends and family a Happy, Happy New Year. 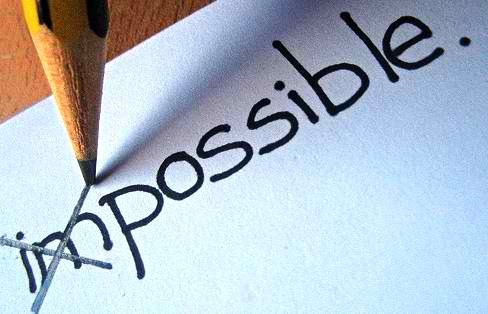 I hope everyone makes a bunch of goals and achieves everyone of them, that is of course, the ones you love doing. If you don't love it, quit. Find your passion and enjoy the learning that comes with your goal or resolution. 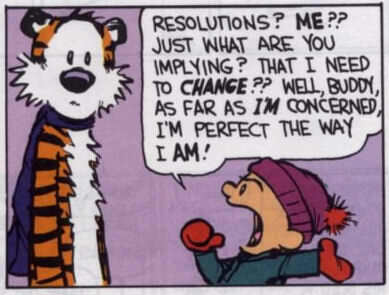 Actually, the resolutions means resolute in doing something. Does that mean you can't move on and make your goal "work" another way? Yep. So I think the Resolution word it O-U-T and the word goal is in. I would also hope that your goals aren't "bucket lists" because we will all be ready for wonderful new ones next year. Hurray, for fun and important goals for you. Things that will help us grow, improve, and gain new skills, serve our family, friends, (enemies...I can add that! ), situations, and become a better woman, wife, mother, grandmother, aunt, friend, and daughter of God. We don't need an award for these things or recognition because our improvement is our reward. One really good idea is to just do 3 goals in 30 days. It's on Facebook and called 3 in 30. 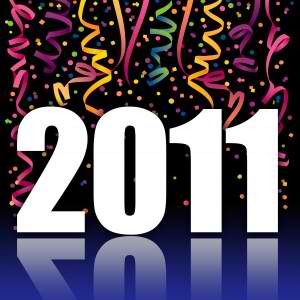 The inspiration and mission is encouraging and challenging each other to accomplish goals in 2011. "Goals are dreams with deadlines". I think this is a realistic and quite a way to move forward in our steps to progression in reaching any goal we might be yearning to complete and enjoy. We know that in good small things, greatness happens. I'm grateful that I stumbled on to this site and even though I don't log-in with my goals, they are right here in my sturdy notebook. I have a link to one of the blog pages that help found 3 in 30 and a link is provided on my blog, under "Favorites" at the bottom of my blog on the left-side. Happiness is moving forward. Make a dress or shirt with set-in sleeves. 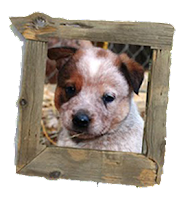 Make a crocheted, knitted, embroidered or needlepoint item. Spend at least 1 hour quilting or tying a quilt. Have on hand, fabric and sewing notions to dress your family adequately for 1 year. You may consider each family member's present wardrobe and then plan to sew all additional items. Bake from scratch a layer cake and frost it. Make a casserole you've never made before. Make baking powder biscuits or muffins from scratch. Make a pie from scratch. Make homemade salad dressing or mayonaise. Make a batch of bread and give it away. Preserve fruit, jam or jelly by canning, drying, or freezing. Preserve vegetables by canning, drying, freezing or pickling. Make at least one survival candle or buddy burner and use it for light, heat, or cooking. Clean and organize your linen closet. Before retiring, pick-up, and put-away anything out-of-place each night for one month (excluding children's bedrooms). Give someone a haircut (no) They won't let me! Do 10 minutes (what?) of organized exercise each day for one month without missing one time. Give the lesson for your Family Home Evening six times. Write a note of thanks to someone who has touched your life. 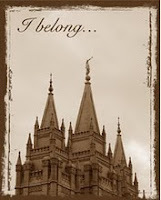 Write two letters to a missionary. Attend Relief Society 80% of the time for one R.S. year. Magnify your calling as a visiting teacher. Invite the missionaries to dinner. Read the "First Presidency Message" in the Ensign each month for 10 months. Have your personal prayers each night and morning for six weeks without missing. Make a nightgown, bathrobe, housecoat, or pajamas. Recycle one item of clothing by making it over. Sew an item of clothing for a man or boy. Make a tied or quilted quilt. Make a raised sweet roll. Make a tray of appetizers. Make a dessert from your year's supply. Investigate ways of preserving meat from your freezer if the electricity should go off for a long period of time, and try out one of these methods on at least one piece of meat. Plan 4 weeks of dinner menus, at least five meals per week. Keep on schedule for four weeks, making no more than two major changes. Go for a 24 hour period without using any electricity or natural gas in your home at all. You may leave your freezer and refrigerator plugged in, but may wish to try not opening them that day. You may also leave your furnace on, though perhaps at a lower temperature. Or camp-out for two day without a camper or trailer. Plan and serve a dinner or luncheon party. Inventory food storage. Check what you have on hand and make a list of items yet needed for your year's supply. For one entire day, use only water from your storage supply. Grow some fruits and vegetables. Make a first-aid kit or evaluate and update your present kit. Make at least three of your Christmas gifts. Read the "Random Sampler" in the Ensign for 10 issues. Attend relief Society 85% of the time for one R.S. year. Make a work of art or submit an entry in the Eliza R. Snow Poetry Contest or the R.S. Song Writing contest. Do your genealogy for generations back. Do a compassionate service once a month for six months. Record your family''s major expenditures for one month and organize a workable family budget. Have a 15 minute daily scripture study for one month. Hold family prayer night and morning for one month, not missing more than two times. Have ready a 72 hour pack for each person in your family. Include extra clothing, bedding, food, first-aid basics, etc. Place it in a strategic place in your home for use in case you should need to leave quickly because of earthquake, flood, fire, etc. Sew cording or an applique on something. Make drapes, curtains, bedspread, window shades, or a rug. Make a pair of shoes, moccasins, sandals or slippers. Keep a live yeast-start growing for a month and use yeast from it in your baking. Bake all the bread for your family five times in four weeks. Shop for groceries only five times in four weeks. Make a batch of soap or participate in making soap. Weed your yard or garden. repair something electrical, mechanical, etc. Paint or wallpaper a room or assist in both. Refinish or upholster a piece of furniture or assist in both. Make-up a work schedule for your routine housework and stick to it for two weeks. Clean all closets and storage areas of your home and prperly dispose of items no longer of use. Be patient, kind, and understanding with your children and husband for three consecutive days. Complete a class through the Institute of Religion, Community College, BYU Home Study, or an Adult Education Program. Prepare a another emergency kit for your car with tools and emergency supplies. Study all the necessary and needed items and purchase them and tie-them-down properly in the car or trunk. Demonstrate the ability to use the following skills: No mouth to mouth here, so study the NEW CPR and also know the Heimlich Maneuver. Seek out someone who does not attend relief Society on a regular basis and fellowship her into full-activity in Relief Society. Teach a Relief Society mini-class or teach someone a skill. Attend Relief Society 90% of the time for one R.S. year. Bear your testimony in Fast and Testimony Meeting or at Relief Society. Attend 80% of your church meetings for one year. Read all church scripture reading assignments for one year. (It's the New Testament for 2011). Attend the temple nine times during the year. if you haven't yet received your temple blessings, prepare yourself and obtain your temple recommend. Submit the name of an ancestor to have his or her work done in the temple. Okay....ya' think I'm ready for a PHD after my name. Not yet. Bill Watterson is so great! If you want to go crazy and really make changes in your life, You Can Do It, by Lauren Catuzzi Grandcolas. It has some really great resources. 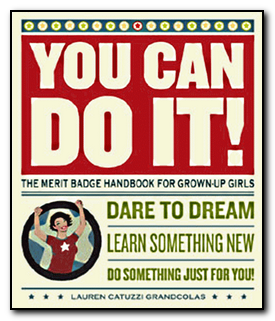 It has this merit badge system and handbook for grown-up girls. It says, "Dare to Dream" & "Learn Something New" Really, these are intense, life-changing steps to get-out and do something. I just like the links to all the places for extra information. It's organized like a Girl Scout Manual and it's got merit badges and everything. Charts, steps and great resources. The downside is that most of the projects really are intense and require a lot of energy and some more money than just regular people can afford. Some of the Content pages include: Dancing, Travel, Acting, Stand-up Comedy, Firewalking ( nope not going there) Public Speaking, Activism, Starting a Band, Starting a Business, Flying Solo, Singing, Painting, Writing, Getting Published, Filmmaking, Photography (intense) Building Websites, Gardening, Flower Arranging, Decorating, Beading, Sewing, Quilting, Knitting, Negotiating, Learn a Foreign Language, Finish Your College Education, Play an Instrument, Art Appreciation, Art Appreciation, Read Good Books, Cooking, Drinking (no more info on that) Entertaining, Exercising, Yoga, Surfing, Climbing, Skydiving (Oh, Marnie) Triathlon, Scuba diving, Snow Sports, Billiards, Horsebackriding (that's what I'm talking about!) Eat It, Care For Your Health, Quit It, Personal Style, Money, Budgeting, Saving and Investing, Estate Planning and Philanthropy, Car care, Computer Care, Home Maintenance, Organizing, Meditation, Teaching, Camping. Genealogy, Family Traditions, Dating, Strengthening Your Relationship, Volunteering, and Making Your Own Badges. 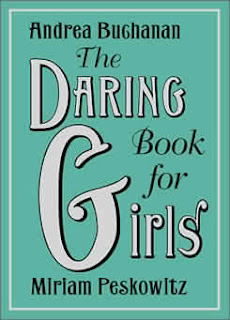 My favorite book, however is The Daring Book for Girls is so darling and easy. The book was written by Miriam Peskowitz and has easy fun things to do, like making a friendship bracelet or silly pranks or just making a real lemon-powered clock. Right-up my alley. I know it's for young girls because I never could even attempt "Double Dutch" jump rope. So fun to share with my grand daughters. By-the-way, there's a Daring Boy Book, too. I love the activities in the Boy's Book, as well. Holy Crap!!! Some of those are crazy!!! WOW!! I can only imagine the overwhelming feeling that you had with that challenge. It is very neat to read about the programs that were around before and the way things have changed. Amazing!